With close to 20 years of experience, there isn't anything our team cannot handle. We proudly serve Huntertown, Indiana and the surrounding areas. If you have flooring need, we can meet it. Most people don’t realize that epoxy flooring is no longer only for industrial or garage areas. It is time to bring the epoxy inside your home! 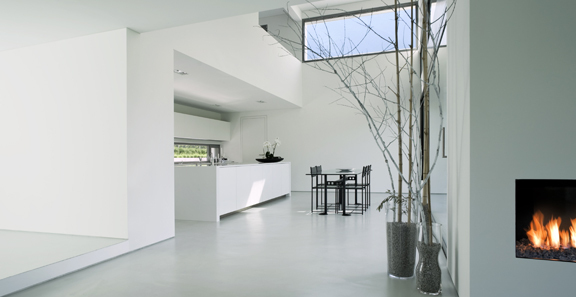 Versatile, an epoxy floor can quite literally be installed in many different areas within your home. Wood epoxy flooring, where you gain all of the benefits of a wood floor but never the drawbacks that all authentic wood floors have. 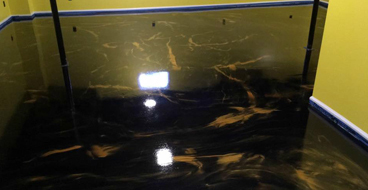 Epoxy can mimic the design of marble floors. Ceramic tile floors can also be achieved with an epoxy coating. Colors, patterns, designs, and logos are not restricted. Metallic epoxy floors are the most resistant and the most beautifully unique floor coatings. If you’re looking to update your home in any way shape or form, our team can help turn your boring floors into the floors of your dreams. With two different crews and more than 20-years’ experience, our technicians are more than ready to help you design your dream floors. 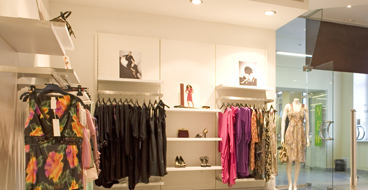 Business wants a return in their investments, we know that, and we have the floors to do it. Epoxy floors are affordable, long-lasting, and durable enough to withstand any environment. In the Huntertown and Fort Wayne area, the unemployment rate is below the national average, meaning, Fort Wayne and the surrounding businesses are the best places to work and live. As a team, we know that our business clients want a return from their floors if they are going to have epoxy installed, and you will. Epoxy floors have extremely low installation fees and extremely long life-cycles. If you have a business with a floor, we have an epoxy coating to enhance it. 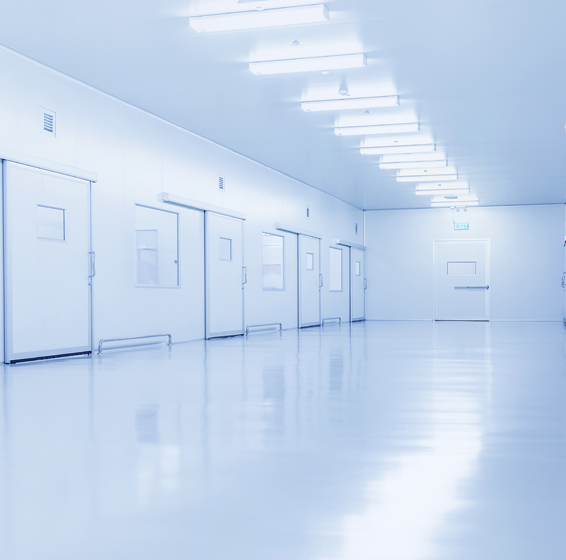 So what kind of businesses should have an epoxy floor? What services do we offer the Huntertown and Fort Wayne areas? Real wood floors are strikingly beautiful and undeniably classic choices for homes and small businesses; however, in Huntertown and Fort Wayne snowy winters can ruin a beautiful wood floor. Seamless, this helps avoid board separation or shrinkage during the colder months. For a new and modern spin on what used to be conventional concrete epoxy, metallic epoxy floors create a fun and light environment. Many people forget that concrete, especially outdoor concrete, should and needs to be sealed. 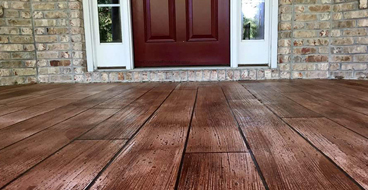 Many concrete driveways and patios are prematurely ruined in Fort Wayne because the surface was not sealed or not sealed properly. It is crucial to seal off your concretes pores to ensure a longer lifespan, especially during the months of snow and salt. Concrete sealer dries very quickly. Some ranging 1-3 hours and others no more than 48 hours. Sealing your concrete limits the surface damage. This is an affordable option for all concrete surfaces that you want to last more than 5-years, with prices ranging from $0.97-$1.15. Sealing concrete helps increase your property value because the concrete will appear to be new and well taken care of. Affordable with average prices ranging between $3 and $5, resurfacing your pool deck can increase your property value without costing you too much. Temperature regulating. The resurfaced deck will be able to repel heat, meaning, it will not absorb the suns heat making it safer to walk on the pool deck without shoes. 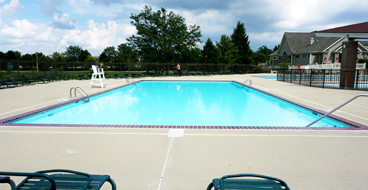 A resurfaced pool deck looks much more attractive and is much more affordable than any other deck option. If in a possible area, hosing your floors off is possible. There are far fewer drawbacks to epoxy flooring and more benefits. Residential epoxy floors are great in garages, basements, and kitchens as well as any living areas that are highly used. Can be installed with different colors, designs, logos, textures, and patterns. Shiny floors help lighten any home or area that has poor lighting because of the high gloss quality. So, what is epoxy flooring? An epoxy coating is made up of resin and hardeners that chemically react to create and strong and resistant surface with your concrete. Once the epoxy has properly cured to your concrete, the chances of breakage and breakdown reduce dramatically. If you have any questions about the condition of your current or future epoxy floor, give our professionals a call today. What are your dreams for your floors? Let us help with your vision. With a 3D illusion right on your floors surface a metallic epoxy floor installation can turn any boring room, office, or space into a fun and inviting space. Metallic floors are strong and durable floors that will last over 20-years. A classic wood floor is a popular option for many homeowners; however, many people do not realize all of the possible drawbacks that comes with wood floors. Wood floors are susceptible to many kinds of damages that would require expensive repairs and replacements.Rustic wood floors offer the look and feel of real wood with a much more durable surface that lasts much longer. Is a very important and inexpensive necessity for all concrete surfaces. 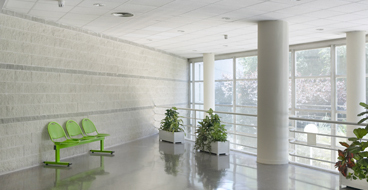 Without proper sealing, concrete breaks down and becomes highly hospitable for mold, mildew, and bacteria. To prevent any concrete damages, give us a call. We offer many different services that suit your individual needs and wants. If you’re looking for new flooring in the Huntertown Fort Wayne area, give us a call because we’re prepared for your next project. With 20 years of experience under our belts, there is no one more qualified to handle your floors. We have seen it all and we know what to do. Our installations come with a 10-year warranty. How great is that? We know floors and things happen; with us, you're covered. 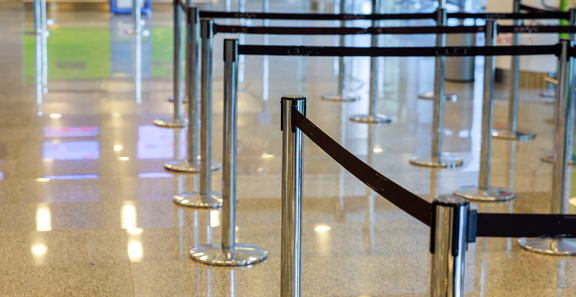 As a licensed team, we know how to get the work done without invading any of your personal space. We never want to take up more of your time or space than is necessary. We guarantee quick and professionally installed floors. For low-end prices, you get high-performing floors. Our installations are top of the line materials that cannot be beaten. For A Fast And Free Qoute, Give Us A Call Right Now!